Arecont's project registration program is literally like nothing IPVM has ever seen. 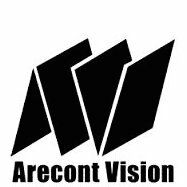 Despite our historical criticisms of Arecont, what they are doing here may very well meet their claim of being the industry's best project registration program. In this note, we examine the key differentiators, the discounts involved, and the main advantages and disadvantages of this approach. *******'******** ************ ********* ********* **** ******* **** *** **** ****. ******* *** ********** ********** ** *******, **** **** *** ***** here *** **** **** **** ***** ***** ** ***** *** industry's **** ******* ************ *******. ** **** ****, ** ******* *** *** ***************, *** ********* involved, *** *** **** ********** *** ************* ** **** ********. *** **** ****** ** *** **** *********, ** ** ** additional **%, **** ******* ** ********* ** ******* ************. **** project ************ ******** **** ** ***** *% ** *% ** maybe *% *** ********** *********. ***** *********** **** *** ******* a ****** **** ****** *** ** ********* ** *** *** enough ** **** * **** ********** ** ** ****** ******* a **** *** / **** ****** **********. ******* **** *** ******* ************ ********* ***** **** * - 50% **** *** ******* ********** ******** ***** **% **** *** past ****. *** ******** ****** ** ******* *** (**** ******** carry * ****** ******* ********), *** *********** ********* ** *** project, ****/***** ** *** *******, *** ********* *** ****** ** the *** ****. *** ****** **** ******* ******* ****** *** **** *** ********** dealer ** ***** *** ******* *** ******** ** ** **** and **** ** * ******** *******. ** ********, **** ****, Hikvision, ***. *** ********** ** **** **** ******** *********** **** access ** ******* ** *** ******* ********* **** *** ******* dealer, **** ** **********. *** **** ****** ******** ** **** ****** ***** ***** ****** prices ** *** ******* *** ******* ******* ************ ******** **** the ****** ** *******. **** ****** *** ******* ** *** customer ****** "*** * *** *** ***** ****, *********, ***. cameras ****** *** $** **** **** **** *** *** ********". *******, *** *******, ** **** **** ******* **** **** *** not ********* ** *** **** ** *** ****** ***** *** prices ******** ***** *** **** ****** **** **** **** *** actually ******** *** ****** ********. ******* ****** ******** *** ******* ***********. **** **** **% ** the **** **** *** **/****** ** ********** *** *** *******. If *** *** **** ******** **** **** *** **/******, ******* Vision ******** **** **/******* *** ***** ************* *********** ** ******* that **** *** *** *** **** **** ** *** *** special ******* ************ ********. **** *** ***** *** ** *********. ** ******, *** ********** **** ***** **** ** ***** ******* and ******** ********* ** ************ *** **** *********** ** *******. *** **** ******** ** ** ***** *** **** ** *** online, ******* ********** ** *** **** *** ***** ** ***. For ***** ******, **** ***** **** ** *** **** **** than ***** *** ********. ******, ******* ** ****, *******'* ****** pricing ** *** **** *********** ***** ***** ******* **** ******* of ******* **** ****** / *** **** ********. ** ******, *** ******* *** **** ***** **********, **** ** simultaneously ** ******. 1) The % off is always relevant to what the "suggested" dealer costing is. For example, a competing manufacturer could raise their dealer costing to in effect, offer a deeper discount than they would have reflected previously. 2) % off can indeed vary by model, whether it is new introduction, a need to move inventory or pending EOL status. 3) Are the models apples-to-apples in comparison, feature wise/warranty/etc. Getting 25% off on a 2MP camera when 5MP is the desired solution as an example. Another ripple effect is that when an integrator hears another competitor has already secured a PR with such a deep discount, it can motivate them to find another more cost effective brand to compete against that tactic, therefore introducing even more brand options to the end user. we encounter dealer's claiming to have access to 15%-25% discount from various brands. But in Arecon'ts case this is not general dealer discounts. This is in addition to them, which makes a difference because it prevents larger competitors or online sellers to stock up at much lower prices (since they would not be tied to a project) and then undercut the smaller dealer who has project registration. Yes/no? I can't believe every Axis partner isn't voting that this is VERY attractive given they have been asking for exactly this for many years! True, but couldn't Axis also counter with "well look, it's only Arecont. Of course they have to discount that much." Axis main issue with such a project registration structure is that it would cripple sales to large end users and others who buy directly from the Internet or through distributors, etc. Arecont has effectively given up such sales with this approach but Axis certainly has not. Axs does give very deep discounts to large end users when they want even though they go through distribution. I've worked with Arecont over the years in multiple capacities, and the one thing for sure is that programs like this are one of the reasons there are still so many loyal dealers. Sure, talk about the failure issues -- it's a pain, but they take care of it. Their dealers are able to make a healthy margin, and when it works (which is most of the time), the product actually performs very well. Add to the mix that their RSM's are typically very professional, knowledgeable, and understand strategy, and you've got a winning combination that we don't often see in the security marketplace...at least with regard to video surveillance (I guess it is more common in the access control arena). Let's be honest -- those that voted no or neutral either don't place any value on strategic partnerships (maybe because they don't understand them), have been burned in the past by an issue (or issues) relating to Arecont and aren't willing to say anything positive about them even if it is warranted, or are making a political statement due to competition or support for another favorite manufacturer. I am not personally familiar with every registration program available out there, but I will say that I've never found any that provide as much tangible value and protection for their dealers as this one. If I had a dime for every pitch like that which ended up being not honest or informed enough. Maybe those that voted no don't believe it is a strategic partnership that pays off. Maybe they have been burned by many issues. Maybe they don't say anything positive because they feel on the balance there is little positive. Or maybe they do concede positive things, but the negative outweighs the positive to them. Maybe it's not based on politics, maybe it's based on experience. Years of experience. That is a possibility right?.... if we're being honest. Sure, it's a possibility. That was kinda my point, as I was referring specifically to the strength of the registration program structure itself, which is undoubtedly strong. Which is why those that voted no or neutral likely did so for reasons other than simply answering the question based on the merit of the actual question. I have no horse in this game, by the way...but seriously -- apply this same program to any other manufacturer (perhaps your favorite manufacturer) and tell me...would you not be thrilled with it? What, other than politics or history that were not part of the poll question as it was framed, could be justification for saying no? From that aspect, I would agree, and marked your comment as so. In my opinion, Arecont's program rewards exactly those it is intended to reward -- integrators who are on the streets actually driving Arecont's business. Period. If you want to lead with Arecont, and better yet get a customer to specify Arecont in their requirements, then you're going to have a considerable advantage when it comes time to compete and win the project if it has to go out to bid. If you're a consultant driving specifications, you can set up a program that will offer discounts to the customer regardless of the integrator, and that is fine. The integrator is not driving that business, and has no right to special treatment. But if the integrator is acting as the consultant to specify product for a client's needs, the integrator gets protection, the customer gets better pricing, and Arecont drives additional sales. Compare that to the garbage program from Axis, who basically ignores the integrator who drove the business to Axis in the first place, and even if a registration is granted, it's a rounding error in most cases. Arecont's program is definitely a differentiator. No question about that. It's a shell game. They keep the dealer prices at regular rates, then give a 40% discount. If they did that from the beginning they would seem cheap chasing the low end import players. The key to any registration is how well it is policed. How do they track who drove the spec? It's a trick question,they don't. It's the first one to call or register online, as a placeholder. What about when the dealer gets a quote from distribution for 35 cameras and the disty registers it with a fake name, who has time to check? Or when I see a spec on the street that reads arecont and register it first, there is no way to possibly keep track of every project or consultant who specs things, especially from out of a different region. I like their program in the fact it gives a better amount of protection on projects, but let's be realistic about the ways it can be sidestepped. They keep the dealer prices at regular rates, then give a 40% discount. If they did that from the beginning they would seem cheap chasing the low end import players. I see that as having an advantage though. One, by doing that, they lose the ADI / trunkslammer / "what's the cheapest thing today pal?" buyer. The upside is they protect their own dealers who are loyal to them over that low cost buyer. As for how well it is policed, I do not have enough experience or feedback to know how well that is handled.